A blend of Sacred Gin, Sacred Rosehip Cup and Sacred English Spiced Vermouth, aged in glassware to allow the ingredients to interact perfectly. Simply pour over ice with a slice of orange to make a deliciously rich and smooth English Negroni. 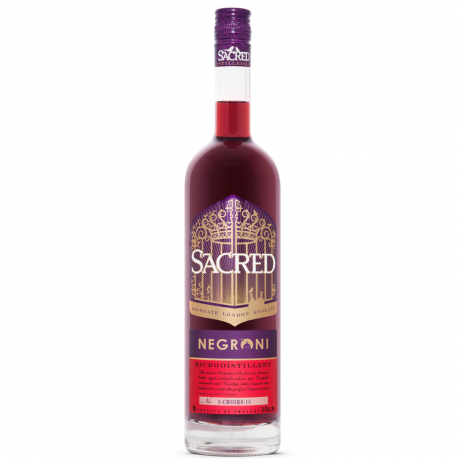 Sacred Spirits is an award-winning microdistillery based in a residential home in London, who create their unique spirits by hand. This ready to drink cocktail features a blend of three of Sacred Spirits' wonderful craft spirits.